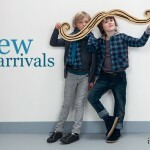 Children grow fast and constantly buying new children’s clothing can quickly mount up to quite an expense. We understand this and we have collected a few hints and tips to buying children’s clothes especially when trying to stick to a budget! Buying online is a great way to save money on kids clothing, comparing what is on offer and the opportunity to use online only voucher codes could save you up to 20% on the in store prices. Children grow quickly so always try to buy the next size up, this will give you a few extra months use out of the product. Cheap clothes tend to wear out more quickly and although they are cheaper you may end up spending more having to replace items that have encountered rips or holes which is frequent when it comes to active children who play outdoors or sports. High quality clothing will stand the test of time and can then be handed down to a sibling and still be in great condition. It is easy to get the high quality brands cheaper if you follow our next few tips of buying out of season, taking advantage of special offers and shopping the sales! School wear is often one of the most expensive sets of clothing you will purchase. Things like shoes, plain t-shirts for PE kits and school shirts are required throughout the year but can be more expensive in the run up to the new school year so look into purchasing in advance. You should also look to buy in advance when it comes to things like shorts and swimwear for winter, purchase in the summer sales for next summer and jumpers and coats in the winter sales for next winter. At the end of every season you will find some huge discounts on a range of clothing from all of the popular brands, up to 75% in some cases. This can be a great time to stock up on all of the essentials such as socks, t-shirts, jeans and vests. They won’t look out of place as they are basics that will still be available in the shops next season. If there isn’t currently a sale running and you need to make some purchases consider multi buy options and special offers such as 3 for 2, or long running offers such as buy one nightwear item and get another half price. If you have followed the previous few tips and bought high quality clothing you may find that once you child has grown out of the items of clothing they are still in great condition. In this case the best way to get some of your money back would be to sell them online on marketplaces such as eBay, either individually, or if you don’t have time sell in bundles! You can then use the money you make to buy new clothes that fit your child.